Is the UK government putting more stock in business events as Brexit looms? While the UK is home to many of the world’s leading organisers, its event business at home is largely a domestic market. But in light of the country’s upcoming departure from the European Union, the role of exhibitions at home has become increasingly important. Take for example the Farnborough International Airshow, which runs this week – 37 weeks before the UK is scheduled to leave the European Union. “This is an incredibly exciting time for aerospace. Not only is there huge growth potential, but many of the developments taking place have the potential to transform the way we fly,” said UK Prime Minister Theresa May, who officially opened the show accompanied by astronaut Tim Peake. But it was the comments of Gareth Rogers, Chief Executive of Farnborough International, that demonstrated the significance of such an event against the backdrop of its host country sitting in the departure lounge of the world’s largest trading block. “The Farnborough International Airshow connects an industry worth $350bn,” he said, pointing to the presence of global industry leaders and government representatives, and ultimately the show’s role as the “preeminent showcase for businesses of all sizes” in the aerospace industry. The fact support this. The organiser announced more than $46bn of deals, double that of the 2016 event’s first day, while a further $51.4bn of deals were eannounced on day two. Almost every deal an international partnership, and with that jobs and inter-government dialogue. The show is flying the UK flag in one of its most prominent industries. VisitBritain is the industry-facing steward of the overall business events strategy in the UK, and a key gateway for international organizations to access the UK’s wealth. In a recent interview I conducted with VistiBritain’s Head of Business Events Kerrin MacPhie, she pointed out that the event falls within the UK Government’s Department for International Trade’s list of 14 sectors where the UK has world-leading clusters of innovation. These are Advanced Manufacturing, Aerospace, Automotive, BioEconomy, Consumer & Retail, Creative, Defense, Education, Energy, Financial Services, Food & Drink, Health & Life Sciences, Infrastructure, and Technology & Smart Cities. I would argue that the ability of exhibitions to connect businesses has seen an increasing number of UK events gain government backing in light of Brexit. The International Business Festival in Liverpool is another Government-backed event, essentially, a nascent (well, three-year-old) platform for British companies to extend a welcome to global business. “We want businesses from overseas to come and do business with the UK. If a German company meets an American company and does a deal, that’s great. But we are focused on metrics that bring business to UK Plc,” the event’s marketing director Nathan Alemany told me at the event’s conclusion. To achieve this the event held a programme of hosted delegations, forged partnerships with 20 promotional agencies tasked with shouting about Brand UK. It also sought the involvement of the Department of International Development and relative counterparts around the world. Once a level of interest has been reached, the likelihood of countries bringing delegations over will be greater. 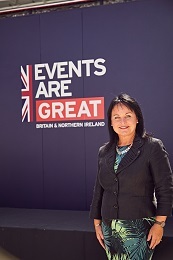 And in 2016, the year that the UK voted for Brexit, its Government formalised its UK Event Support Program (ESP) to spur the development of international business events in priority industries. The initiative was designed to support identified growth sectors, and position convention bureaus as brokers of innovation in those industry clusters. It appears to have realised the value of events such as these in helping to ease the UK’s departure from the EU, creating partnerships otherwise frustrated by economic and political horsetrading. The UK’s swelling army of civil servants anxiously planning for divorce are being matched by the country’s business events industry. Now if only it government can make its mind up about the terms of severance so that the uncertainty can end and we know precisely what we should be aiming for. Excellent story on the impact of business events on the UK economy – particularly, the Farnborough International Airshow. Close to $100billion in deals done over two days. 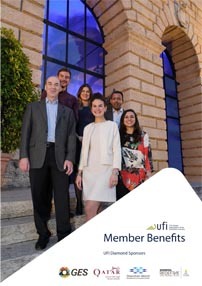 Government policies than recognise the importance of our sector continue to be critical – advocacy is at the heart of the work of UFI and also our association in Australasia.